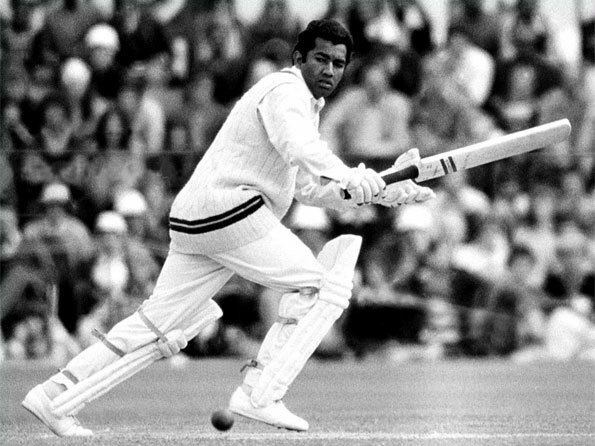 Alvin Isaac Kallicharran (born 21 March 1949) is a former West Indian batsman of Indo-Guyanese ethnicity who played from 1972 to 1981. Kallicharran was born in Georgetown, British Guiana (now Guyana). His brother Derek played first class cricket for Guyana and later the United States of America. A left-handed batsman and right-arm off spinner, Kallicharran was known for his elegant, watchful batting style. He was a Wisden Cricketer of the Year for 1973. He was part of the 1975 and 1979 teams that won the Cricket World Cup. 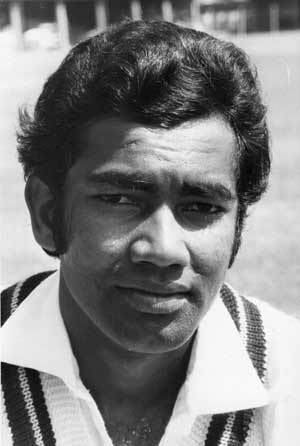 His highest score is 187 against India in the 1978–79 tour. He also found success with Warwickshire in English County cricket. While playing against minor county Oxfordshire in the 1984 one day Natwest Trophy he scored 206 and took 6 for 32. One of his most noted international innings, a knock of 158 against England, was shrouded in controversy when he was run out by Tony Greig on the final ball of the first day. He attempted to join World Series Cricket, but failed, and was appointed captain of the West Indies in 1977–1978 when Clive Lloyd resigned over the Packer issue. Kallicharan was later involved in further controversy when he led an unofficial rebel tour to South Africa in defiance of the Gleneagles Agreement and anti-apartheid protesters in that country who asserted that official sporting structures were discriminatory. He saw out the rest of his career playing for Orange Free State and Transvaal in South African domestic cricket. He is currently manager of Lashings World XI. Presently, Kallicharran lives in North Carolina, United States, and is involved in coaching cricket among youth around the country. Kallicharran is Brand Ambassador of UiTV Connect – A Global Internet Network.